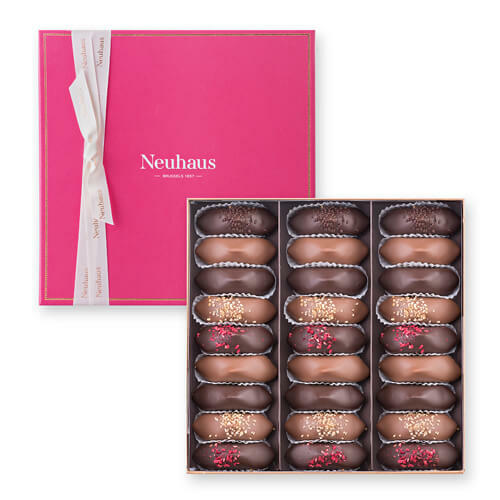 Delight your special someone with this indulgent collection of the Neuhaus Irrésistibles. The Collection Les Irrésistibles is an icon of Belgian chocolate tradition. The pralines are created in Belgium of a traditional artisan nougatine hand-filled with smooth fresh cream or ganache and coated with dark or milk chocolate. This 27 piece collection is presented in a luxurious fuchsia Prestige box.